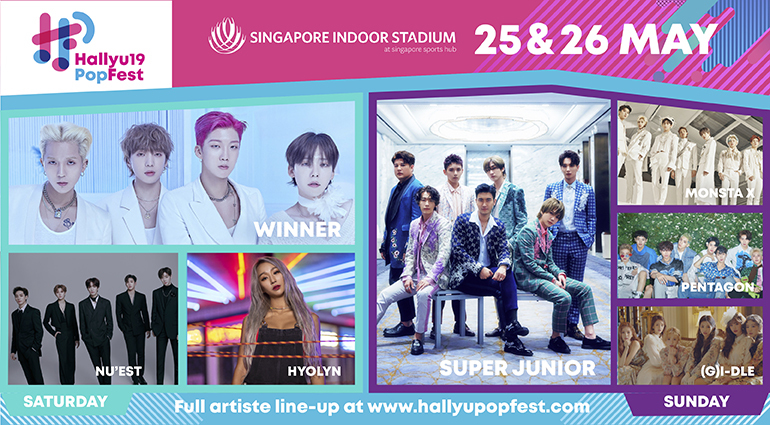 Each HallyuPopFest ticket gives festival-goers access to two concert events on that day - the afternoon Showcase that runs about 2 hours long, and the 3-hour Evening Concert where headliners will perform individual sets of at least 30 minutes each, making it a “concert within a concert”. 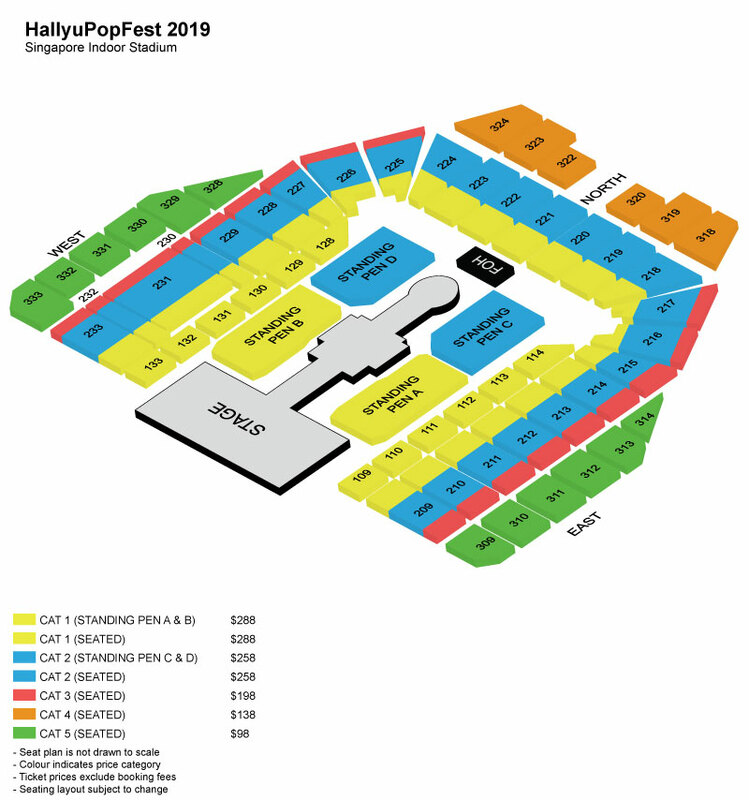 For Category 1, 2 and 3 ticket holders who would like a more personal fan experience, they may opt for the HallyuPass for Artiste Engagement which gives them a once-in-a-lifetime interaction experience with an artiste performing that day. HallyuPopFest will be the only K-pop music festival you'll want to attend this year. #AreYouReady? Stand to win a Red Carpet Fan Zone Pass when you purchase your tickets with a Singtel promo code. Please proceed to singtel.com/Hallyu to redeem your promo code. ^Upon redemption of your HallyuPass, you will be asked to draw for your Artiste Engagement session. The artiste you will be engaging with will be indicated on the pass you have drawn. No admission for infant in arms and children aged below 3 years old. Children under 12 are not allowed into the standing areas. Strictly no photography and videography are allowed. LED and fan-boards are restricted to A3 size (42cm x 29.7cm) or smaller. Banners or flags no larger than 1m x 2m. Selfie sticks and stools are strictly not allowed into the venue. For more information, kindly refer to the Conditions of Entry as stated by Singapore Sports Hub. This promotion is only available for online purchases from 30 March to 28 April 2019.